After using SA Express across South Africa, then through parts of SADC over the past two weeks, a time for reflection. November’s weather has been decidedly odd. Most flights I took – 7 in 14 days – were delayed. The rainfall we’ve seen virtually daily has had an impact on aviation. Loading my tripod into the DHC-8 hold during an OR Tambo deluge. SA Express uses smaller planes with smaller seats. That means on a flight to Umtata in the Eastern Cape, I was wedged between the window and a large woman. In fact she was so large that the arm rest between us had to be lifted allowing her bodacious hips to flow across the seat like warm lava, engulfing me in a fragrant sea of chiffon. Its a short flight and she was a friendly government official. I didn’t really mind. But it got me thinking about seat sizes. In the US Airlines have already altered the average weight of its passengers as obesity becomes a macabre national identity. Urban South Africans are not far behind. When I flew back to Joburg after driving around the Eastern Cape for two days, the regular flight was also delayed. 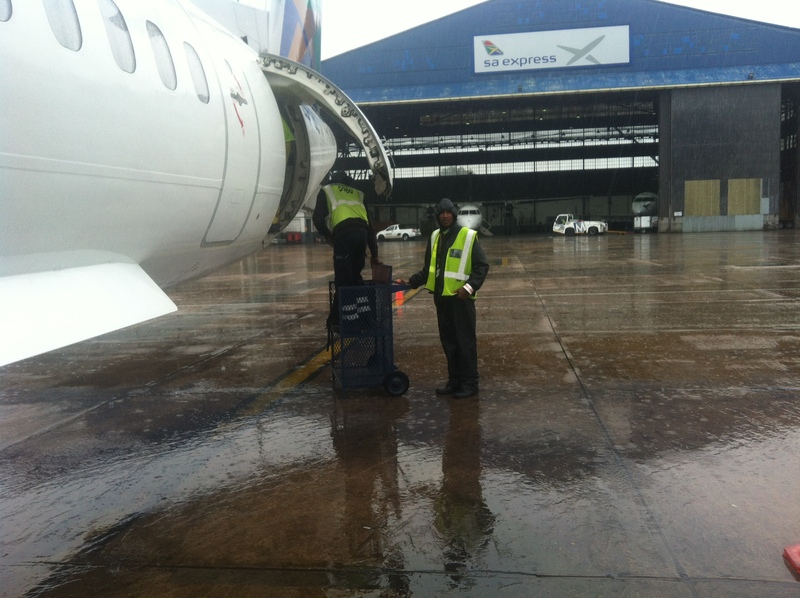 A flight to Gaborone on Sunday 23rd was held up by the weather for almost an hour. No issues there. 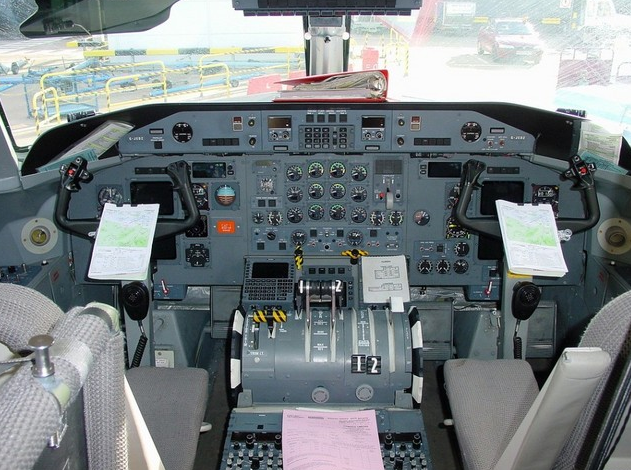 One day I’d like to sit in the left seat. Maybe when I’m 60? We all know how hard it is to get everything right in aviation when the minimums are exceeded and the cloud cover over ORT was literally on the deck. Then the leg back to Joburg from Gabs was an hour late. Starting to become a habit? The flight to Windhoek, however, was on time while back to Joburg was ahead of schedule. Analysis: Loved the De Havilland Dash out of Gabs to ORT with its massive 6 blade turbo driven props and short take off and landing. The SAA Airbus A320-200 from Joburg to Windhoek was superb, big seats, loads of space. The BA Airbus A320 from Windhoek back a day later (Wednesday 26th November) was spartan but comfortable. Check out the close up I shot of the de Havilland Dash DHC-8 props as the right engine was fired up here.